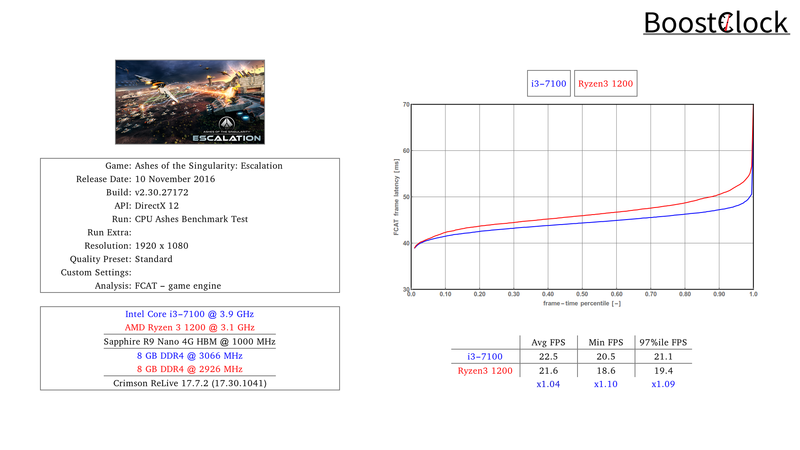 How does the Ryzen 3 1200 and the i3-7100 perform in Ashes of the Singularity, the real-time strategy game from Oxide Games and Stardock Entertainment. 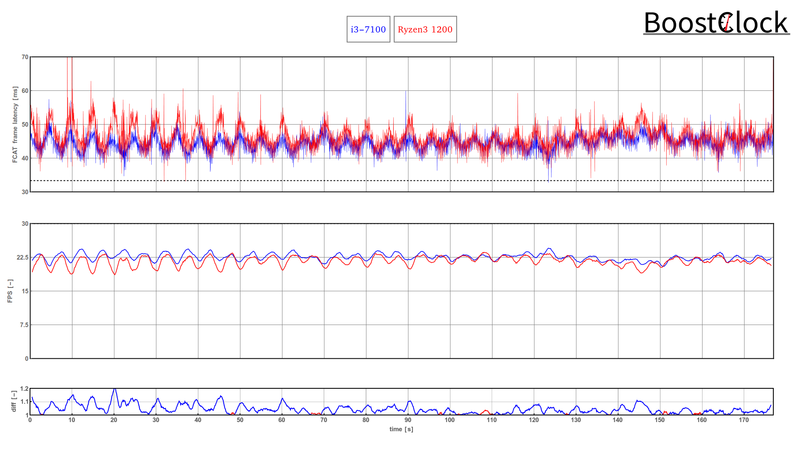 To support large armies and huge terrains the developers started from scratch to build the Nitrous Engine - it uses all available processor cores. 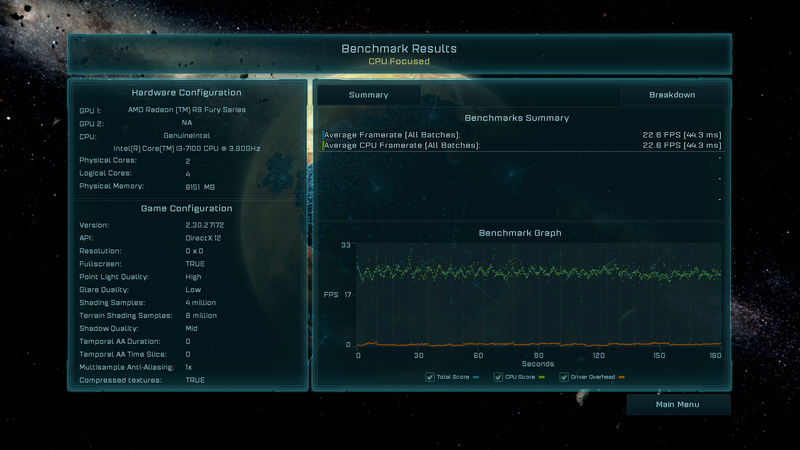 The i3 processor proved to be faster (4% - CPU test, 12% - GPU test) in the battle for control of the galaxy. To showcase how well the engine can utilize more cores the performance of the Ryzen 5 1600 is also shown.